To celebrate the 40th year since their founding in 1979, Vance & Hines introduces a limited edition line of exhaust systems highlighted by special gold badging. This golden nameplate features the 40th anniversary logo, laser engraved and is sure to be a collectors item for years to come. 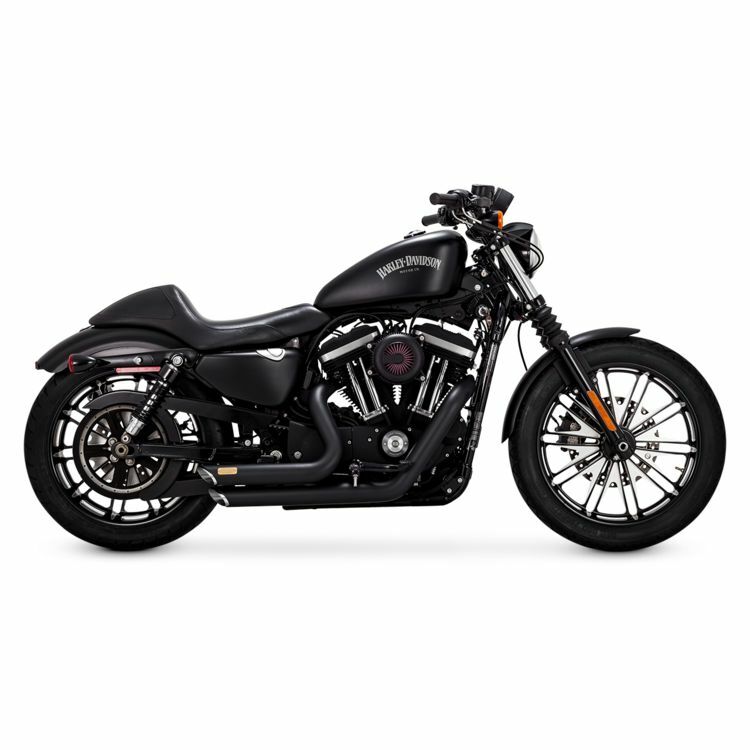 Featured as part of the 40th anniversary line, Shortshots Staggered transform your Sportster with its timeless, compact stance and aggressive hot rod sound. The Vance & Hines Shortshots Staggered Exhaust offers the high quality you expect from Vance and Hines, in a classically good looking package. The 1-3/4” head pipe that steps to 2-1/8” muffler bodies allows the exhaust gasses to exit quickly, which leads to a head turning bark of an exhaust tone. If you are looking for a slightly deeper note, the optional quiet baffles will provide a more throaty tone, while also taming the sound by about 3-5 dB.